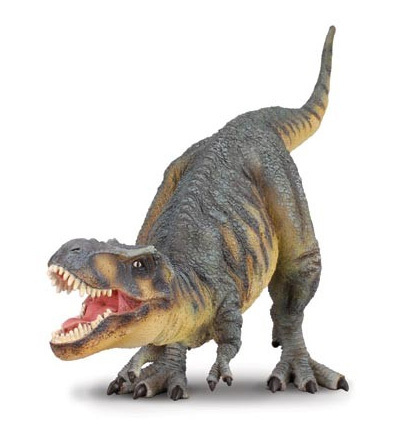 This guy is 11.6″L x 6″H, which puts him among the Big Boys of the T-rexes. Unlike the upright Schleich and Papo, and the horizontal Bullyland and Carnegie, the CollectA version is bent over…maybe to get a better look at his next meal? Tags: collectibles, deluxe, procon, CollectA, figure, Model.